A caprese salad is light and refreshing. Putting it on a skewer makes it a fun appetizer or snack!! 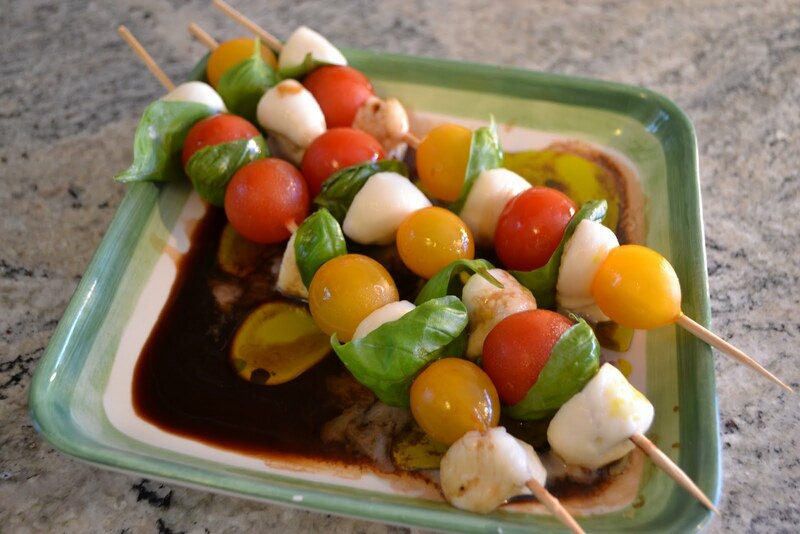 Summer is the best time to make the caprese skewers because of the fresh grape or cherry tomatoes you can get from your own garden or your local farmers’ market. Use good extra virgin Sal y Pimienta avocado oil or extra virgin olive oil and balsamic vinegar to add to the intensity and flavor of the dish. Lie skewers on a plate. Drizzle with olive oil and balsamic vinegar plus a few turns of fresh cracked pepper. Pick up and enjoy!! !